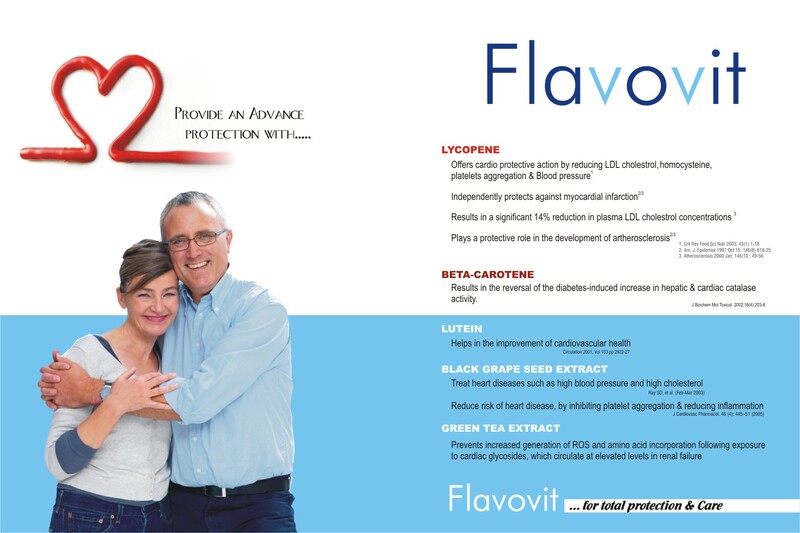 Flavovit Capsule is fortified with the benefits of Natural Beta Carotene, Potent Carotonoids Lycopene, Green Tea Extract, Grape Seep Extract any Many more vitamins, minerals, anti oxidants. Flavovit Capsule is Beneficial for Lowering High Lipids, Diabetes, Male Infertility caused by low quantity of sperms or bad structure/ shape/ mobility of sperm, Brest Cancer, Cervical Cancer, Hypertension. Ingredients of Flavovit also be found to control obesity by enhancing lipids metabolism.